Symphony Nelson has weathered more than her share of hardships-in part thanks to the faithfulness and affec¬tion of her adopted puppy, Toby. Her formerly chaotic life seems to be settling down, until a peaceful walk in the woods leads Symphony and Toby to the reclusive cabin of Caleb Showalter, who knows more about her past than he's telling. 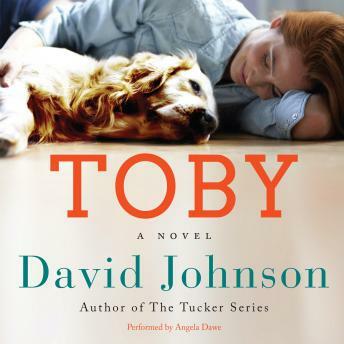 When an old friend resurfaces and expresses his affection, Symphony warily longs for love, and it is Toby that nudges her toward pursuing a reconnection. But when violence strikes at the hands of her possessive boyfriend, Symphony's trust is shattered once again. Just when Symphony's faith in humanity seems lost, Toby is injured in the woods, and she has no choice but to reach out to Caleb for help. Together, they face their fears and lost trust head-on. If they can save Toby, they might be able to let go of the past and to believe in the goodness of others-and themselves-once again.